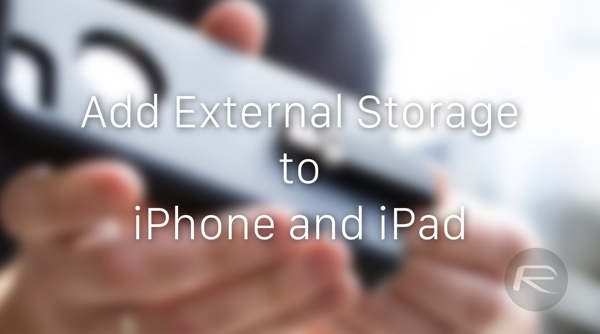 There are ways you can expand iPhone and iPad’s storage externally using certain options. Here’s a rundown of some of the best accessories to help expand your iOS device’s existing storage. 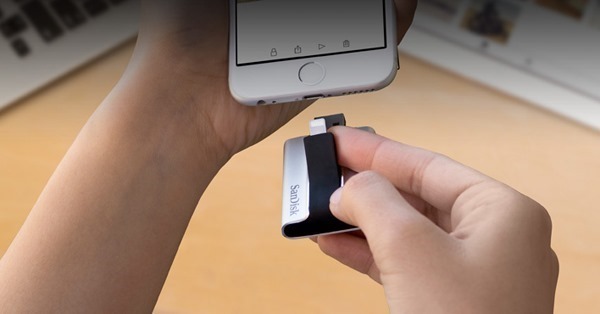 This brilliant accessory lets you connect your USB drive, SD or microSD cards in one place, which can then be accessed on your iPhone or iPad wirelessly – up to 2TB supported. The gadget in question is self-powered with a built-in battery – 4640mAh – that can be recharged, and while it can allow an iPhone or iPad to browse through connected storage cards via WiFi, you can even charge your iOS gadget while at it. 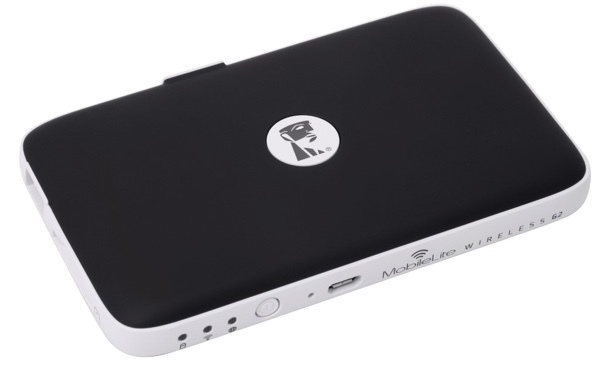 The MobileLite Wireless MLWG2 can support up to 2TB storage, as mentioned above, and 128GB SDXC. The device is currently on sale at Kingston’s online shop for $30.99. iXpand for iPhone and iPad is currently out of stock on SanDisk’s website, but you can find the gadget on Amazon with a price tag of $149 for the 128GB one, and $99.99 for the 64GB model. With its unique ‘U’ shaped design, the iBridge makes carrying the USB attached to your phone or tablet much easier compared to the rest of the crowd. Additionally, this storage flash drive comes in with storage capacity of up to 256GB. 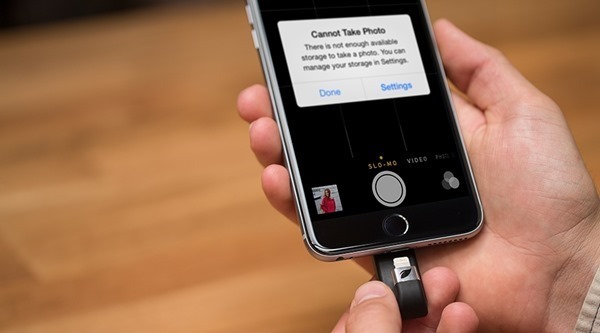 iBridge can be grabbed from Leef’s website and is available in 16, 32, 64, 128, and 256GB configurations, and carries a minimum price tag of $59.99 and can go as high as $399. 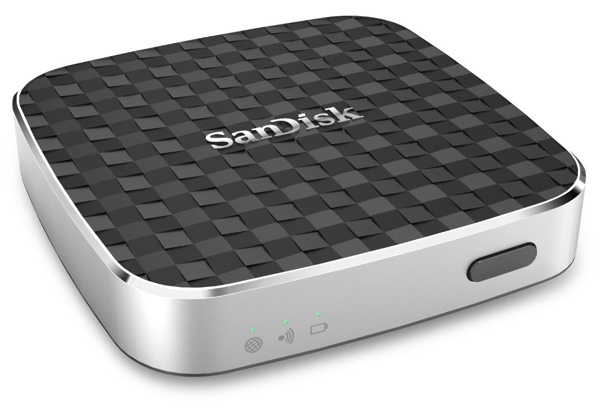 A monster of a storage + streaming device, this wireless media drive from SanDisk can stream up to 5 HD movies on different devices simultaneously, and a single charge lasts for about 8 hours, if you’re streaming continuously. The drive can accept SDHC/SDXC memory cards as well for storage expansion. The drive itself is available in 32GB and 64GB configurations and carries a price tag of $79.99 and $119.99 on SanDisk’s own, Amazon’s or Apple’s online store. 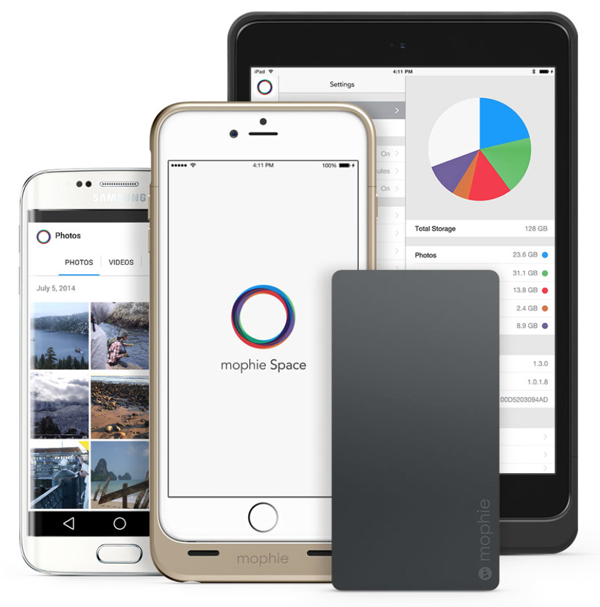 Mophie’s name alone spells quality and that’s exactly what the company has delivered; protection case for your latest iOS devices, along with built-in storage, and of course charging on the go. This storage+battery case does add some bulk to your device, but then again, the phone or tablet is also being protected. The pricing of the Space Pack for iPhone 6 / 6 Plus starts at $149.95 for the 32GB model, going up to $299.95 for the 128GB configuration. Space Pack for iPad mini will set you back $199 for the 32GB model, and $399 for the 128GB one. The cases can be grabbed form Mophie’s website. Wireless storage for your iOS device has never been this powerful. Fuel allows you to store up to 2TB of data which can be streamed over WiFi to all connected devices. The accessory can be hooked up with five devices at a time wirelessly and is powered by its own rechargeable battery. 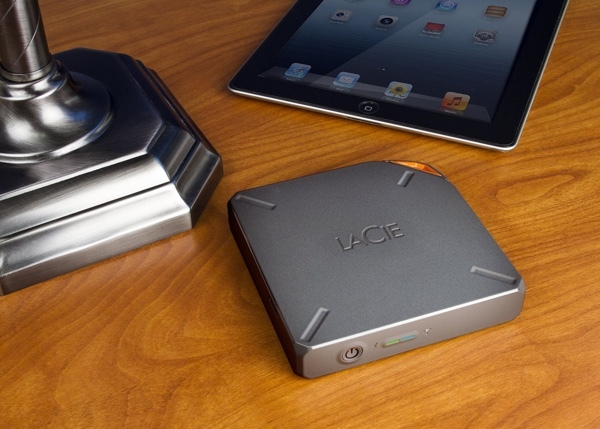 Fuel can be grabbed from LaCie’s website and will set you back $179.99 for the 1TB model, and $229.99 for the 2TB one. Showing your T!it$ from home is a decent job. Is your body!